The sunny skies and ocean waves makes for the perfect getaway in the brand new beach team room. 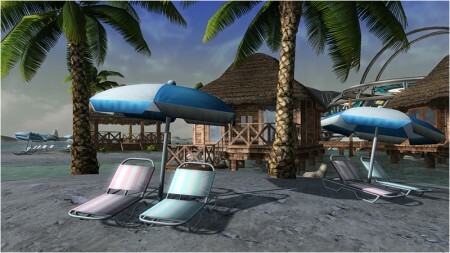 Relax with the team on a private beach resort filled with bungalows, palm trees, and beach chairs. Watch as time goes by when the sky changes from day to night. 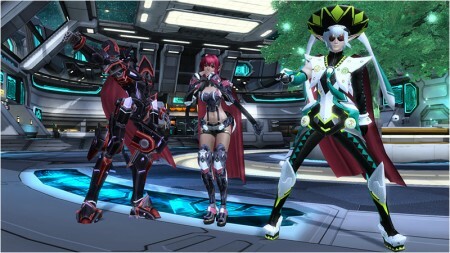 Teams can spend points to purchase new accessories like a team beret and cape. Team masters and mangers have the option in choosing the accessory and color for the entire team. 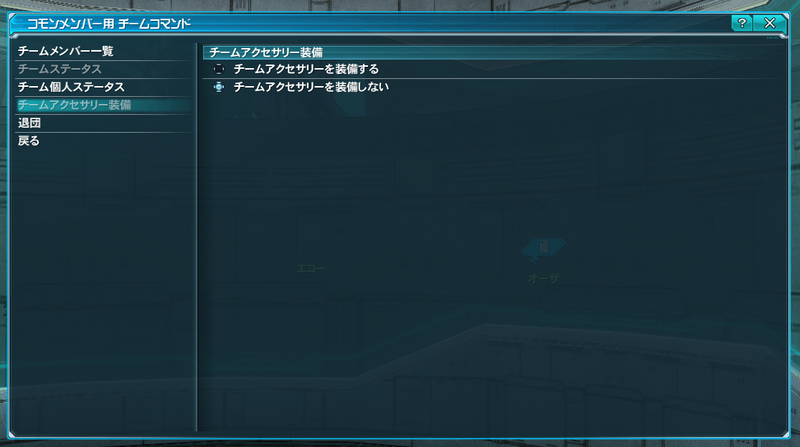 Team Accessories when equipped will take over the third accessory slot. Team Accessories require a level 5 team and costs 10,000 Team Points. 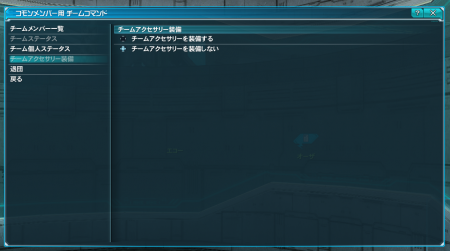 Team Accessories can be equipped at the Team Command window! Summer’s not over yet! 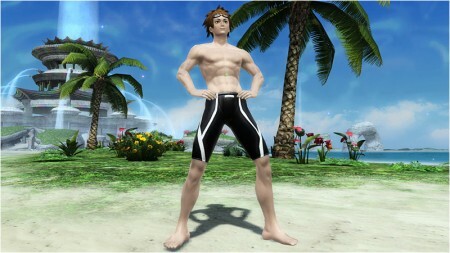 The Endless Summer scratch will add new swimwear from Emilia and Lumia as well as popular costumes and parts from Phantasy Star Portable 2 Infinity! Aside from the bugs reported in our last post, there seems be another bug that prevents the lost cake sister from returning to the cargo ship. This may occur if the enemies accompanying the emergency trial do not show up on the radar map. Defeating the enemies nearby should allow the cake sister to continue her journey. 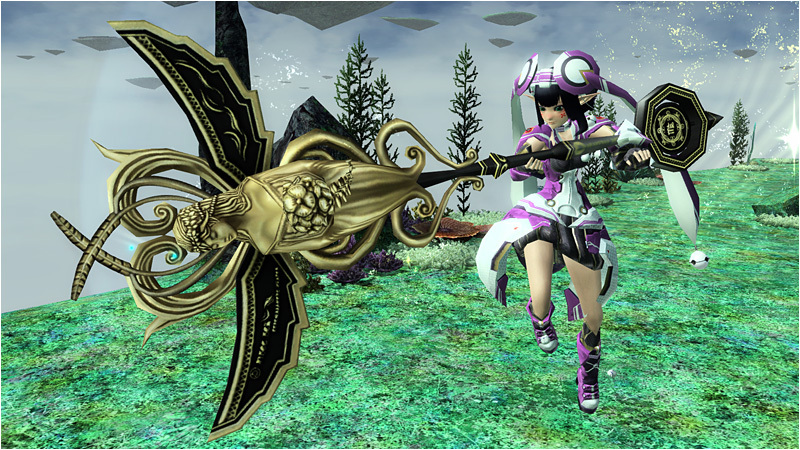 The development team plans to fix most of these bugs during the August 21st maintenance. They are sorry for the inconvenience this has caused and will distribute some items as compensation in the future. In addition, they are considering whether they should extend the Emergency Quest passed the September 4th end date. More details regarding this date will be posted at the official site at a later time.